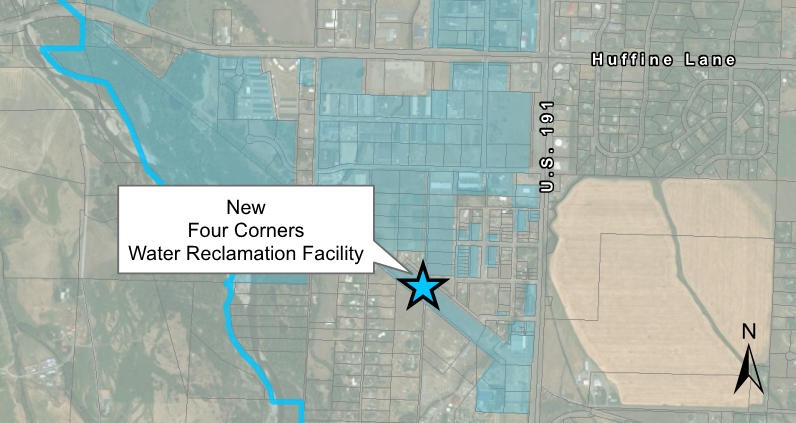 The Four Corners Water and Sewer District is building a new Water Reclamation Facility which will be located southwest of the intersection of Huffine Lane and U.S. 191. The new facility will provide much-needed capacity to treat wastewater generated by homes and businesses in the growing Four Corners area. The District has budgeted $8.2 million dollars for the design and construction of the first phase of the project. 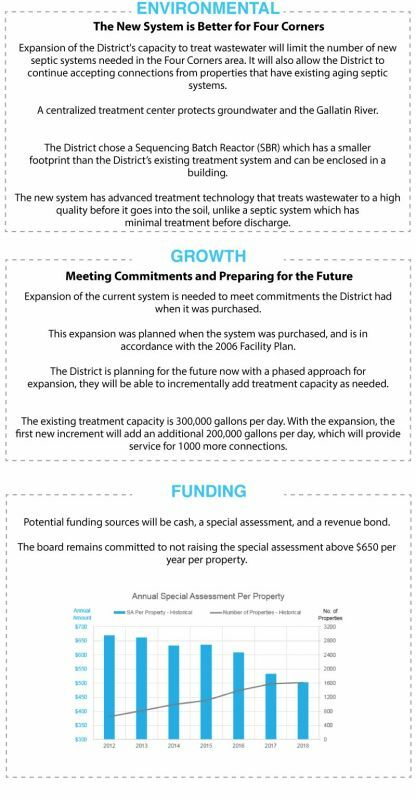 As part of the District's long-term plan for handling growth, the new Water Reclamation Facility will be designed so that it can be incrementally expanded in phases as growth occurs. Construction is expected to begin in late spring 2019 and start up of the facility a year later.